If you're looking for affordable car maintenance and repair services to keep your cars in great condition - look no beyond Car Servicing & You. With a comprehensive range of services, we ensure you get back on the road with a great experience. Our services include exhaust repairs, tyres, car air conditioning service and repairs, mechanical repairs, car brake repairs, car batteries, wheel alignments, roadworthy certificates, alternator repairs, suspension repairs, auto transmission service and repairs. 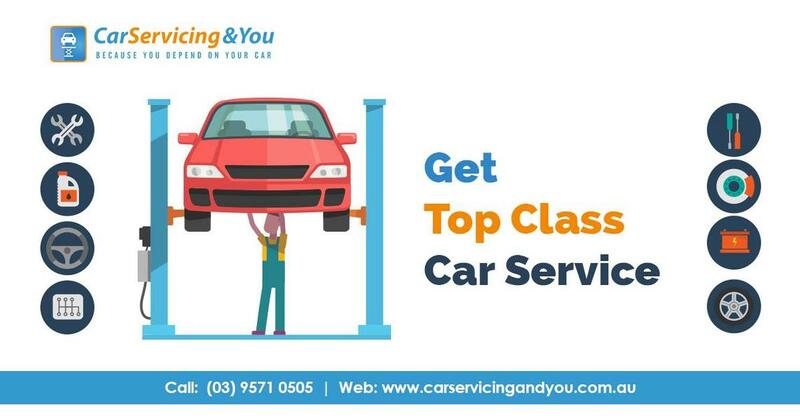 For fixed price car servicing packages and log book servicing, call us on (03) 9571 0505, (03) 9336 3930 or 03 8560 3299.